Booked this hotel for 3 nights as we had a cat show near by. We enjoyed our stay and Keith is just the best Host ever. Nothing was too much bother for him and he has a wicked sense of humour. We now want to go back for a weeks stay but without the cats lol. lovely hotel friendly and go out of there way to help you, excellent rooms comfy beds clean cant complain about anythink. stopped here 5 times and every time has been fantastic will defo be going back. Not eaten here but food smells lovely, gardens are great safe car park good location, ice machine for your own drinks, rooms cleaned every day new towels coffee tea ect. My husband booked this hotel based on location and price. We don't know Wolverhampton and we're staying for a weekend to see a gig with some friends. The hotel is full of charm- quirky features and details in every nook and cranny. For the price we paid, excellent value and good service. I was instantly made to feel welcome. My room was comfortable, tastefully decorated, good bed and everything was spotless. The breakfast was worth every penny. I really enjoyed my stay and I really wish that I could have stayed longer. I'm definitely going to stay again. "Absolute gem of a hotel"
We spent 9 days in this hotel and had the best time, amazing value for money with the rooms, very kind, compassionate, caring staff members who go above and beyond to make you feel comfortable, welcome and make you want to come back! I couldn't recommend this place highly enough. Thank you. We spent nine days in the hotel with one night away midweek while we visited family. Even though we were not booked in for that night, staff went above and beyond to help us by keeping our bags in storage for when we got back and putting them back in our room before our arrival that evening, rather than us having to pack everything up for a single night away. The manager is a sweet and lovely gentleman and the ambiance of the place is quiet but refined. Cleaning services were also excellent, as well as timely each day. All in all, a fist rate stay at a first rate hotel. Stayed for two nights in this very quirky hotel. Had a twin room and a single room. Original features remain in the older part of the hotel with very tasteful displays of old suitcases and memorabilia from the era. Sitting room had gentle music playing, again all very much in keeping with the era and there was a model dressed in full 20's outfit standing in the window. Rooms were comfortable as were the beds. Only problem we found was that it was impossible to have a very warm bath as the baths were lovely and large, but the hot water system needs some attention. Great tea and coffee facilities in rooms, bottle of drinking water included each day. Breakfast room excellent, although paintings on walls not really in keeping with the rest of the decor. Lovely breakfast, very welcoming and helpful host. Lots of parking space in car park. Pleasant garden. Very quiet in spite of being on main road. We will certainly come and re-visit this hotel when we are next in the area. This is my second stay here and if ever I am in the area again I will book to stay again, it would be a pleasure. Although the outside is charming it holds nothing as to what is inside. Quirky to say the least, but thoroughly tasteful. Words cannot convey the eclectic collection that awaits. Great value for money, with the best breakfast for £7.00. Rooms are warm and comfy, with plenty of tea/ coffee etc. and should you require more , no probs there is a bowl full of supplies in the hall, just help yourself, also an ice box where again you help yourself. Beautiful sitting lounge where you can enjoy a drink at prices you cannot better. Breakfast room is lovely with a lady equally lovely, nothing is too much trouble for her. Plenty to eat, with a nice choice for the pickiest of tastes. So forget the big hotels in the area, book in here and if you don't like it then you won't like anywhere else so go home. Thank you Barons Court. Superb, truly amazing value for money. Lovely, bright twin corner room (room 10), with great towels and super Samsung flatscreen TV, with Freeview. Great wifi. Coke at 60p a can, that's cheaper than what you pay in the shops. Wonderful full English, cooked and served by the helpful Keith, who also booked a mini cab for short ride to Wolves FC. Very good chippy around the corner with wonderful curry sauce. You won't find a better bargain in Britain than this friendly hotel! Booked our family party of 6 for one night, as we were visiting the Grand Theatre in town. Friendly staff, clean rooms good value and a very homely feel. Super breakfast with every choice imaginable. Well done guys !! Found this hotel based on reviews on the web and it did not disappoint. Locaction excellent for Wolerhampton Town Centre and access from where we live. Hotel warm and welcoming, spotlessy clean room, tastefully decorated and very comfortable. Fantastic value and the breakfast was excelllent too. Five of us stayed for two nights at the Barons Court Hotel, Wolverhampton and would all highly recommend this place. Had all the usual facilities, we had a very warm welcome. The service was second to none. The breakfast was lovely and the hotel was quirky and quaint. Would definitely stay there again. Stayed here for one night and really enjoyed this well run well maintained little hotel. Keith runs an excellent place to stay with clean warm rooms and a beautifully festive decorated ,lounge area. Breakfast was probably the best we've had on our travels well cooked and plentiful. prices here are very good especially when you consider the high quality of the place, next time we go racing in Wolverhampton we will stay here. We have enjoyed staying here after a night out, we have stayed a few times and have never been disappointed. We have enjoyed the breakfast, plenty of items to choose from. The hosts are very welcoming. The hotel is well worth a visit, it's comfortable, well priced and a relaxing place. Thanks. We will be back. Such a lovely little hotel! Friendly, polite staff who were more than welcome to help out if needed. Very beautifully decorated for the festive time of the year! Our room (double) was decorated lovely & of a nice size, too. Would definitely stay again & recommend Barons Court! I stayed here every week for 9 months and it's an excellent B&B. You can't beat it for value for money. The bedrooms are all clean and comfortable, the breakfast is excellent. Keith the manager couldn't be more helpful, no problem is too much trouble. Stella who does the breakfasts doesn't say much, but she does an excellent job. The only problem you might have is getting a room, it's always very busy ! Loved this hotel, we travel to Wolverhampton one a year and I don't think we'll use another hotel, very quirky and great fun at Halloween! Great for kids and the service you will only get from someone that runs his own business. ... you’ll never get that from a chain hotel. Thanks for a great stay! We arrived on Thursday Oct. 23rd 2014. The hotel is in a nice quiet area about 4 miles from Bilston. we were there to go to an evening performance in Bilston at The Robin 2 Venue. we were greeted by the owner /manager in a pleasant and friendly manner. the Hotel has a car park and inside is welcoming with it's interior look. Our rooms were excellent and the facilities spot on ! After our journey it was nice to relax with ample supplies of tea a choc bar /coffee. After the concert we arranged with the same firm to collect us again prompt service. slept in. Breakfast was buffet type cereals juices etc including a full English breakfast which was delicious served in a comfortable / nice dining area. Having finished we said our goodbyes to the very helpful and friendly staff we had met and on checking out we spoke to the owner / manager about our very pleasant stay. We stayed for 1 night only, but would definitely return if in the area. Great room comfy bed, lots of extras in the room, unlike a lot of chain hotels. Breakfast was fantastic as freshly cooked to order. Love the quirkiness of the place, and the history of the building. Great hospitality by Keith. Great value for money. Stayed here a few times as a couple and with the kids.... The outlaws live just around the corner. Always fantastic! The twin rooms are great! Communal lounges and corridors are all charmingly decorated. Worth every penny! The Barons Court is a fabulous building which could pass for a National Trust property. The service and welcome were excellent, the (optional) breakfast was very good, and my single room spacious and nicely furnished. It's on a quite busy road, so light sleepers would be advised to get a room on the other side if possible. There is a bus stop nearby, with four buses an hour to Wolverhampton centre, and direct buses in the other direction to Dudley and Bilston. Less frequent buses run in the evenings and Sundays until after 11pm. I would happily stay here again. “Comfort, clean and modern with a twist” ...Loved this hotel. Lovely white crisp clean bedding and comfy bed. Excellent shower again immaculately clean. Flat screen TV and tea and coffee with added chocy biscuits. Keith professional pleasant yet unobtrusive. Excellent breakfast. It's also in a very nice area of the city. “A great find” ...A large group of us stayed here for one night over the weekend as we were competing in the Tough Guy Nettle Warrior Competition. We were greeted by Keith who was a fantastic host and could not have been more accommodating towards us. The rooms were all well equipped with everything you could need and plenty of tea/coffee etc. The hotel itself was unique in its decor (well worth seeing) and surrounded by well kept gardens. The cooked breakfast was amazing, the best we had eaten in a long while, and there was also a good choice of cereals, yoghurts, drinks etc. Keith also found us somewhere to eat on the Saturday night and arranged taxis for us. Very memorable and would recommend this to anyone. Many thanks to Keith and his staff. 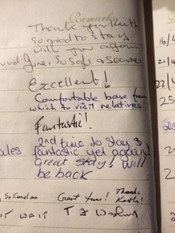 “Excellent Enjoyed our stay here, A Little Gem of a place” ...Only stayed here for one night But Keith couldn't have been more accommodating. Hotel was set in a nice location with plenty of private parking space. Room itself was spotless Bright and airy and very comfortable. Hotel has lots of what you could call quirky pieces dotted everywhere but in a nice quality way. Breakfast was spot on. No evening meals are served at the hotel so we ordered a Take Away and ate in Breakfast room. There is no bar but there are cans available for purchase. So if you would like to bring a bottle of wine with you and chill out in the garden.This could be the place for you. Highly recommended. “Easy, relaxing!” ...Opted for this hotel from reading reviews from Trip Advisor. Plenty of private parking, lovely rear garden with patio table and chairs. Smashing interior full of memorabilia and original features. Service great, rooms spot on with En suite, tea making facilities,bottled water,TV , clean towels, soap and plenty of hot water. (room 9). There was also a small coldbox,on the landing,stocked with ice cubes.Coffee,tea,sugar and milk replenishment are also in a large dish on the landing if needed. Breakfast, great choice,yoghurt,juice,cereals, followed by lovely choice of cooked breakfasts. Great service as well. You can even take your own lunch, late meal into the hotel and use their plates and cutlery. Never ever experienced this before and it was so good that this was allowed.Great lounge, relaxing and homely.Manager and staff were top notch. We will visit again when we return to this area. Highly recommend this lovely friendly hotel. Room Tip: We had room 9, which overlooked garden area. Nice big Windows that we could safely leave open. "Stayed 3 times & will return again.”... I seldom stay at the same place, I like to 'try' different Hotels/B&B's. Having looked around for an alternative, once again I opted for The Barons Court Hotel, since it 'ticks all the boxes' for me. Lovely Arts & Crafts building with original features, gardens and carpark. Clean, tidy, pleasantly decorated rooms with TV, beverage tray etc., modern en-suites with soap/shower gel, white towels and plenty of hot water! Manager Keith and Staff, very helpful & obliging. Good location, easy to find, handy for town (taxi under £4.00), ideal spot if 'touring'/visiting local/surrounding attractions. Superb breakfast/choices, self serve cereals, juices, fruit, yoghurts, jams, pastries etc., hot breakfast cooked to order, plenty of freshly made tea, coffee, toast! If you fancy a 'Takeaway' in the afternoon/evening, Keith will provide plates & cutlery for you, to eat your meal in the lounge. Have used this hotel 6 times as our base for Wolverhampton races. Price of taxi to the races is approx £6, the greyhound track is a similar distance from the hotel. The hotel is spotless, rooms are a decent size for a small hotel, and they do a lovely breakfast, both traditional and vegetarian. It does not have a bar, but you are welcome to bring your own drinks and free ice is provided in a freezer on the 1st floor. The manager, Keith, is most welcoming and responsive to any query you may have.It has well maintained gardens to the front and back. Any time I am staying in Wolverhampton this hotel is my port of call. Fed up of staying at chain hotels, we opted for this hotel after reading good reviews on TA. We were not disappointed. We had a lovely warm welcome, a good size room, overlooking the garden and a huge well-appointed bathroom. Gallons of hot water! The garden was lovely and pretty alas the spring rain prevented us sitting out! The house is a lovely example of the Arts and Crafts movement. Take time to check it out, look out for the amazing fireplace. Keith also recommended a trip to a similar Arts and Crafts house that is open to the public called Bantock House. A visit here too, is highly recommended. The breakfasts looked amazing. It is also a dog friendly hotel. We slept well as it was so quiet. Plenty of parking. We would return. We had a lovely time and were so well looked after by Keith. We were here for Maddys 50th birthday. Warm welcome, nice room, much nicer than staying in a chain. The breakfast was great. No doubt, we'll be back! My husband and I stayed here last Friday and were very pleased that we had chosen this hotel rather than one of the character-less chains. It is certainly full of character - a full size suit of armour greets you as walk in! The house is an Arts & Craft house and is very quirky - especially the drawing room. Room was small but clean, with large flat screen tv with lots of channels. Bathroom was very clean, although a blind at the window would have been nice (we were not overlooked but felt a little exposed without one) Bed was very comfortable and there was no noise overnight despite being situated just off a main road. Overall a great place to stay and brilliant value for money, would definitely recommend this if you are fed up with soul-less chain hotels. I was suddenly stranded in Wolverhampton when the storm hit, and trains were cancelled. My partner - who was at home - used internet to find a hotel and booked it for me. When I arrived, she had put wrong date! No problem, the staff sorted it out, got me back on my feet, and I had a great night. The hotel is fabulous for the price. Comfortable rooms, marvellous breakfast, and quirky artifacts in corridors. On arrival I was quite concerned with the location of the hotel. Situated just off a busy main road. However, upon entry, I was pleasantly surprised. I quirky decor, yet lush decor and a friendly manager. Checking in was basic but simple. I had room nine which consisted of a nice bed, large tv (with a lot of channels) & large bathroom. Complementary teas etc, everything you'd expect of a hotel. I found my stay to be just fine. There's a car park outside (no charge) & free WIFI, just ask for the code. Stayed in January after going to watch Jason Manford at the Civic and found the hotel to be just what we needed. 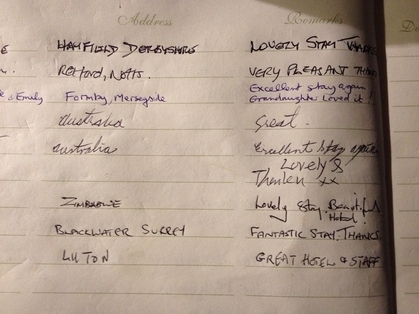 "What a lovely hotel Barons Court turned out to be!" I stay in Wolverhampton occasionally on business, and generally end up in a characterless corporate place, but I noticed barons court on line and it looked interesting, as well as good value, so I booked a twin room for a one night stay. Small private hotels can be very variable, and I've stayed in some stinkers in my time, hence the usual "safe" corporate hotels, but I do like a bit of character, and this hotel has it in spades! The building was originally a very classy Edwardian gentleman's residence, and the hotel conversion on the listed building is very sympathetic, with original features carefully preserved and a real "roaring twenties" ambience. My young son and I got a lovely warm welcome and the manager was very helpful, friendly and polite. There is a decent sized private car park. The sitting room was lovely and our twin room was charming and sympathetically decorated to match the style of the hotel. The room had a good sized modern en-suite too. It does feel very much like you are a house guest as there is such a warm homely atmosphere (I mean this as a compliment). Due to an early start, we were unable to sample the breakfast, but the dining room looked lovely. There is a very good Indian restaurant (Penn Tandoori, the manager gave us a 10%discount card) 10 minutes walk away, along with several other shops and a pub, but the hotel itself is in a largely residential area, so expect a 5 minute taxi ride into town if you want some nightlife. Overall, I loved our stay here, and for me personally I can't think of a more pleasant hotel in Wolverhampton, although I guess from the one or two poor reviews on here from people who don't understand the decor, etc, it won't be everybody's cup of tea. I, for one, hope to be a regular. Stayed for one night to go out in Bilston (c £5 taxi one way). Very good value for money. Clean and well-cared for (rooms and common parts), not battererd or worn. Single rooms not palatial but larger than you might expect with good sized bathroom (inc bath, as well as shower attachment) and wardrobe/storage space. Not at all claustrophobic. Very responsive and effective heating. Well furnished lobby/lounge area - timber beams, leather chairs etc. Welcoming - for example - willing to serve you drinks but also will provide glasses if you bring your own to drink in lounge or room, likewise willing provide plates if you order takeaway food etc. Easy to find on main road on a corner with easy free offstreet parking round the back in a walled off area adjacent to the hotel garden - it all felt safe. Free internet access. My wife and I stayed at Barons Court for two nights in early November. The house is lovely and our room was large and comfortable, though the chairs could have been more comfortable. There was a big lounge for the use of residents and extra tea and coffee was available on a table in the corridor outside our room. The manager was very helpful and the choice and standard of breakfast, at £7 on top of the room price, was excellent. Convenient for the whole Wolverhampton area, with onsite parking. We booked last minute as an overnight stop going North. The hotel is an oasis of friendliness and charm in an area you would not expect to find such a gem. The staff were welcoming and could not do enough for us The price we paid was fantastic value for money. I would recommend this hotel to anyone. My partner and Myself stayed here on the weekend of October 4th. We were in Wolverhampton celebrating a friends 40th birthday. The hotel is quirky with a great relaxed atmosphere. The staff were very friendly and the rooms comfortable with a huge bathroom and powerful shower. Another friend was staying here as well and she was also very impressed and said it made her feel at home and comfortable. You wouldn't get that type of feeling in an anonymous hotel chain that's for sure. We are returning in December, but for now, you made two guys from Manchester and one Essex girl from Cardiff very happy! Great find, did not disappoint , very quirky, rooms clean, bed very comfy, bathroom spacious, breakfast excellent, good location close to Wolverhampton, manager polite and friendly would not hesitate to go back, great value for money!! If you need to visit the area you cant go far wrong with this lovely historic hotel. The staff are very professional and understand their customers needs. If you are staying on business or for pleasure this is a delightful place to stay. Room Tip: You will love the rooms if you like the arts and crafts period. “Quiet, hassle free, dog friendly, big TV, big tea cups and all the towels and pillows you could wish for.” Reviewed 21 September 2013 ... Checked in, got the swipe card and then it was like being at home. Saw no-one but the guy in the suit of armour. Everything you need is there and no-one runs after you demanding payment for your dogs. £26 and would've cost me at least £90 in a Travelodge. Great sleep, not a stag party in sight and no motorway hum. And a shower that did what it was supposed to. The place also doubles as a museum. Keep doing what you do cos it's certainly working. I saw the reviews and thought £26...no-way but I have to say 9 out of 10 was way too low. “Wonderful hotel full of character and charm! !” Reviewed 13 September 2013 ... This is my second stop at this hotel but the first with my newborn son. We advised the hotel in advance in case a problem ( of course it was fine ). The hotel is full of character and the staff are excellent. A warm welcome greeted us (even a help carrying my son to the room in his car seat !!!!). The breakfast was great value and cooked freshly as well which makes a nice change to BIG chain hotels where it is mass produced and often cold, rubbery or past it's best ! !.The walk into town is approx 30 minutes (with pushchair ) and is only 5 minutes (max) by car .Please do book this hotel and experience how beautiful the property really is (was built in 1909 and extended in 1913) You will not be disappointed !!!!!. 2. Superb breakfast full English cooked fresh and served piping hot perfect! 5. A five star experience in a 2 star hotel you couldnt ask for more! “Great hotel with character” Reviewed 16 August 2013 ... My first stay here after recommendation by a friend. A lovely garden at the front and the public areas all have fabulous character thanks to the many artefacts which you need to see to appreciate in full. I stayed in a room with a lovely big bathroom, with lots of hot water. The bed was very comfy. Even though I was by the car park the double glazing meant I heard no noise and slept well. I particularly like the seating on the back balcony by the door where you can chill out among the lovely flowers which obviously get a lot of TLC. I'd happily stay here again and it beats any chain or corporate hotel hands down. “Excellent Service” Reviewed 30 July 2013 ... This hotel is now our accommodation of choice when visiting family in Wolverhampton and we have used it on 3 separate occasions. 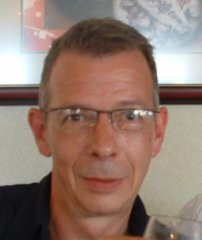 The manager, Keith, provides a most professional service and does everything he can to ensure his guests have a 'hassle-free' time. His friendly and helpful manner and his attention to detail make this a very pleasant place to stay. He will be difficult to replace if he ever decides to move on. Stayed there for a single night to take in the local theatre. Rooms are good, clean and functional. Service is great. Breakfast was really tasty. Just what you need for a good start to the day. I would stay again. Hope this helps. I rang Keith up after reading positive reviews. We arrived a bit early, so I thought I'd ask if we could leave the car in the car park whilst we popped out..Keith went to see if the room was ready for us, which it was and he carried our bags up to the room. We was in room 10 which was clean and very cosy. The breakfast was excellent and we will def come and stay here again very soon. Fantastic place. You should go on Four in a Bed! I'm sure you would win! Fantastic place.Lovely breakfast and really good customer service. Stayed for my 50th Birthday Party, for 2 nights along with friends. Excellent Hotel. Stayed last year so did not hesitate to book with Keith again. Keith works very hard to make sure all his guests are happy, breakfast is excellent well worth the money. Every time you visit you marvel at the property oozing history. The staff are warm and friendly, rooms excellent, nothing too much trouble. Not only can you ask for a glass if you want to drink your own wine, but ice and a take away too!! Please try it, you won't be disappointed. Found this hotel via Google. A fascinating 'arts and crafts' house. Very welcoming and extremely good value for money. An excelllent breakfast and well thought out extras eg the ice machine on the landing and lots of tea and coffee in the room. Would definitely recommend and would visit again. Thank you Keith! We chose this hotel because of it's good reviews here and also we didn't want to stay in the city centre, with our car left in one of the multi-storeys. Lived up to it's reviews -a lovely homely hotel and it made a change to stay somewhere with character instead of a chain hotel. Lovely quiet location and just the right distance out of the city centre to use taxi's all weekend without it costing a fortune. Breakfast was freshly cooked to order and was excellent. If the convention is held here in 2015, then this hotel will be our first choice!! Have occasion to visit Wolverhampton regularly and have stayed in the usual so called "budget" hotel chains - Baron's Court offers all the amenities they have to offer, at a fraction of the price and with a bit of character thrown in, and Keith gives the hotel a personal but unobtrusive touch. This is also the only hotel where I take breakfast - beautifully cooked to order. This was my third stay and I would not hesitate to recommend it to any discerning traveller. Safe parking, and no noise issues. Really cannot fault Baron Court. Off road parking, Comfy, clean room, plenty of hot water, and a fabulous breakfast. Would definately stay here again. Owner was very attentive and helpful and even remembered at breakfast as to why we were in the area to ask if we'd enjoyed. This is why i never stay at a holiday inn or travelodge, you just don't get the homly feel that we had here! Well done! My wife & I along with 2 friends visited Wolverhampton races last Saturday and we stayed here. We have been the races on several occasions and have always stayed at the Holiday Inn which is situated on the course. I noticed this hotel had great reviews on here so decided to give it a go, I'm glad i did! The owner/Manager/Cleaner/Chef/Gardner/Chief Bottle Washer! was very attentive and makes a mean breakfast. The rooms were clean & tidy and the bathroom was spotless. 1st class all round. We chose the Barons Court because of the rating on Tripadvisor, and it more than lived up to expectations. Keith is very attentive, but without being intrusive. The building is very old, over 100 years and is quite quirky, but this gives it a certain charm. Our room was quite small but had everything you need for a weekend stay. The plus point is that the radiators in the room have thermostat controls so you can set your own comfort level - even with the snow and freezing cold I still needed them turned down! We arrived Friday night having managed to see 2 National Trust properties in the area but didnt want to venture out again in the evening as it was snowing heavily. Keith suggested a take-away meal showing us leaflets from 3 places which deliver food. He also allowed us to use the breakfast room to eat in and provided us with plates and cutlery (and did the washing up afterwards). We couldnt go out on the Saturday as the NT properties we wanted to see did not open due to the horrid weather....so Keith did his best to entertain us and did the whole take-away delivery thing again in the evening. One couple, who clearly had to go somewhere, could not get their car off the carpark so again Keith came to the rescue with some old pieces of carpet to put under their wheels to get them going. It was down to Keith that our weekend was not a complete washout and we can't thank him enough. THANK YOU KEITH, WELL DONE! We have no hesitation in recommending this hotel! An excellent value for money hotel. Staff very friendly and accommodating. Good night's sleep and good selection for optional breakfast. The building is quirky and has a nice garden. Location is good for going into Wolverhampton or nearby pubs and restaurants. Although situated on a busy corner, it is not noisy. We spent a comfortable four days in this lovely Arts and Crafts house. The breakfasts were excellent, the rooms clean, comfortable and well appointed. The private car parking was safe and secluded. More should be made of this lovely house with many of it's original features and artifacts. We have enjoyed our stays here before and although we were in the area for a funeral and we were worried about getting caught by the snow, our stay was still enjoyable. Lovely breakfast, as usual - that's why I rate the restaurant as excellent. No evening meals but, as other visitors say takeaways may be ordered. Many thanks to Keith and the staff. We recently stayed at the hotel for tough guy. The hotel was brilliant and the service top notch. Keith was a great host very friendly and couldn't do enough for you. The lounge is a great place to relax and have a few beers. Overall I would recommend it as a place to stay. Made to feel very welcome with a lively 2-year old. Excellent service all round. Breakfast 1st class. Lovely hotel, full of old world charm. Lovely hotel, comfortable and very welcoming. Thank you. Warm welcome, comfy bed, hot shower, excellent breakfast. Lost for words - and that comes from a writer. An exciting weekend in a wonderful hotel. Thank you for your splendid service. Wolverhampton has always been a difficult place for hotels. The Barons Court is Wolverhampton's best kept secret in that regard. It is just outside the town centre, very traditional, well kept. only rooms, excellent service and a very good value for money ratio. Superb hospitality - beautifully kept place, excellent facilities and breakfast. Fabulous 10-day stay, welcoming and friendly, superb staff. Lovely stay again. Best breakfast we have ever had in a hotel. I stayed her for 1 night after going horse racing at Wolverhampton.As a frequent traveller across the UK staying in hotels and guest houses, I would consider this as one of the best based on the cost and therefore value for money.My single room was clean and bright and the bathroom was huge and looked recently refurbished.Breakfast the next day was of a high standard and the downstairs lounge area very good. I'd return here if in the area again. This hotel is great value for money if you don't mind being a bit outside the city. A lovely old Arts & Crafts house and a bit different to the usual budget hotel. The owner, Keith, is very helpful and everything in the room worked. Breakfasts were good value, too. It was easy to arrange taxis in and out of the city centre which were reliable and cheap. Wolves 1 Charlton 1 - Barons Court a Winner! Without a car the 26 bus from Garrick Street takes you to the top of Upper Villiers Street, less than 100 metres from the hotel.Walking back to the station took a leisurely 25 minutes. Small comfortable single with a good sized bathroom at the back of the property was very quiet. Good WIFI signal and TV picture. It was nice that there was no problem with eating a takeaway in your room-as Strictly come dancing is a must see live for me! Breakfast not taken as I wanted to take an early train. I would happily book this hotel again. We were very pleasantly surprised by this hotel considering how relatively inexpensive it was. The hotel itself is a converted well-to-do gentleman's residence so it offers a lot of history and an interesting place to stay. However, considering its age, it has been upkept in beautiful condition and offers a really cosy, welcoming environment in which to stay. The big thing for us is that we were able to bring our dog and the proprietor was very welcoming and didn't make us feel like having the dog there was an imposition at all. The double room we had was spacious, well-equipped with an en suite bathroom. The proprietor had no issues with us bringing our own food into the hotel (e.g. an Indian takeaway) unlike many hotels I've stayed in. It was a particularly cold night outside, but at no time did we feel cold inside the hotel - it was always warm and cosy. We decided to have breakfast at the hotel which was very good value at £7 - an all-you-can eat buffet, cereals, juices, etc, and a full English was included in that price, which was perfectly cooked. Despite the fact the hotel is on a fairly busy road, we didn't find the traffic noise particularly obtrusive. However, we were in a room to the side of the hotel adjacent to the road, so that may have helped a little. I would unreservedly recommend the Barons Court Hotel to anyone and would have absolutely no hesitation in staying there again in the future. An absolute GEM! I actually can't believe this hotel is only ranked 2 stars! I was pleasantly surprised when I arrived at this hotel. It is a small hotel with lots of character. The lounge is really relaxed and cozy with an ethnic touch of decor. The hotel has little extras outside the rooms like ice packets. The double room was small but modern. Clean bathroom and checkout is eleven o'clock. I would recommend this little cozy place. This establishment is a prime example of what a small or medium sized enterprise in hospitality should be like. The landlord is fair and welcoming, the room was cozy and the atmousphere is unique, like the location of an 'Avengers' episode (the 70's tv programme). The prices are very cheap for the quality you get, I would definitely go back. This is a wonderful hotel/guest house, a real find. Went to a concert at the Civic Hall and the Baron Court was ideally located for this. It has good secure car parking and just 3.50 taxi fare into town. The room and bathroom (and of course all the other public areas) were clean and warm as was the welcome - couldn't be faulted. Lovely breakfast in the morning - full English freshly cooked. Would highly recommend this place and would certainly return. Many thanks. Room Tip: Had room 6 - didn't hear any noise from there road at all - slept very well. This is a great little hotel about 3miles from the city centre or 1 1/2 miles if walking (mildly up hill coming back). It comes well recommended. It is comfortable and the manager and the staff are friendly and go out of their way to be helpful. It is an arts-and-crafts building and has been kept to reflect this fact. All-in-all I would recommend this hotel. A word of warning it is a popular hotel and seems to get quickly booked up. It is so very easy to see why this hotel has been rated so high. We booked two rooms on Saturday when visiting the nearby Robin 2. We were incredibly impressed with the place, it is a beautiful building in a convenient location for the entire area. Our rooms were really nice, the communal areas in the hotel were great. The hotel even lets you take you own drinks to drink in these areas and provide glasses and ice when needed. I could easily go on but at £29 a night I cannot understand why anyone would stay anywhere else. Finally we had a really nice breakfast as well. And finally, finally, the host is great!! To say The Barons Court Hotel is the only place to stay in Wolverhampton is a massive understatement as it's probably the only place to stay anywhere in the area. It couldn't possibly be more quaint, more comfortable, and more welcoming. And all for such a reasonable price! Considering I was paying the exact same amount in London for a 4- or 12-person-room hostel, The Barons Court Hotel is a wonderful, inexpensive respite. Definitely a great place to stay if you're going to the Civic Hall (as I did to see Blur). They also have a pleasant breakfast menu for £5. Booked this hotel at the last minute as we decided to visit family for the weekend. Read reviews and were very pleased to find that it exceeded our expectations. Although room 16 on the ground floor was not very big it more than sufficed and the bed was extremely comfortable.Keith made us very welcome encouraging us to treat it like home. There was plenty of tea and coffee in the room together with a welcome bottle of complimentary water. Breakfast was exceptional value at only £5 per person for a very full " english". We have already recommended this hotel to our family. stayed at this hotel during the Wolvestock festival with three of my friends. After a fantastic day we booked in at 8.30. Not knowing the area and wanting an evening meal we were at a loss of where to eat, but Keith organised a takeaway and set out plates and glasses in the lovely lounge. Nothing was too much trouble for Keith. The breakfast was very good. The room was clean and the added personal touches, bottle water, rocky bar and heaps of tea, coffee and milk made for a perfect stay. Now that we have found this gem and the perfect host we will be booking our yearly weekend break there from now on. We stayed here one night in order to go & watch the Speedway. On late afternoon arrival, we were advised that our room was ready but it needed bath towels. The manager helped carry our bags up to our room. Sure enough, towels were delivered within a hour. The decor is really interesting with olde worlde sporting things and the suit of armour in the hallway & the gramophone in the louge. Lovely big bathroom with bath & overbath shower. Comfortable & clean bed. Breakfast can seem a little early ( only up till 9am) but the service was good with a really good choice of fruit, cereal etc. It suited us as we had to be away promptly. I would agree with another reviewers comment about drinks prices being very reasonable. I wish I'd had longer to soak up the surroundings. If you think that low prices mean low standards then think again. Stayed over for one night and was impressed at how well the place appears and is run. £25 for a double en-suite room with on-site parking and free internet access. My family [7 adults, 1 toddler] stayed here for 5 nights. Keith [manager] was very helpful and gracious. Rooms were good value for comfort and the breakfast is well worth the price - it is supurb. Second time we have stayed here and it is our place of choice whenever we visit Wolverhampton. Keith (the manager) rescued me when I got lost in central Wolverhampton. He gave me excellent instructions on the telephone. On arrival nothing was too much trouble. Breakfast was super. Please go and stay - it is super value for money and very homely. I have stayed here a few times now and can assure that this is a very clean, comfortable hotel and a little quirky in a nice way. The decor is very individual and interesting artefacts adorn the common areas. The bedrooms are compact but well appointed. There is no bar but drinks are available for purchase at a very reasonable price to be consumed in your room or the exceptionally large lounge. Breakfast is very good value for money at £ 5.00 with everything being prepared fresh to order. This small hotel caters well above the standard that the prices would suggest. A definite for leisure, families or business.... Highly recommended. We are often wary of small city hotels particularly when the price is modest. Barons Court dispelled any worries, it was excellent. On the outskirts of Wolverhampton the hotel sits in really well cared for grounds with tress, flowers and a small pond. Our room was clean with a large bathroom and the bed comfortable. The public areas are decorated with interesting nick knacks and even a suit of armour in the entrance. The staff were helpful and the breakfast good and value for money. There is no restaurant but there were plenty of places to eat within a short drive. We would definitely stay here again in preference to say Premier Inn or Travelodge, which would be the alternatives. Much more pleasant and less soulless. I stayed at Barons Court Hotel one night a week for 7 months whilst undertaking a course at Wolverhampton University. Every week I was greeted in a warm pleasant manner and it was never a problem to change dates or arrival time. I felt grateful to have found such a great hotel and I would not have wanted to stay anywhere else. Thank you. What a find. Friendly host. Clean comfortable room. Free wifi in room. Even a chocolate biscuit on the tea tray. Best of all, this is not your run of the mill hotel. This is a genuine Arts & Crafts house. Beautifully cared for and a pleasure to stay in. Good sized room and slept well. Breakfast was in another lovely room. Good choice and extremely reasonable. Would not hesitate to recommend. Please keep this Hotel Secret. Over the last 18 months I always use this Hotel when I'm in the West Mids area, which ids probably about eight times now. I have always found the Manager and staff very pleasant and helpful. The rooms are clean and generally reasonably sized (only once did I have a 'tiny' room), but who can complain with the price they charge per room. The pleasant surprise about this Hotel is the almost original Arts and Craft interior, with the quirky interior design on the bedroom level. The breakfasts are exceptional good value, far better than the more expensive Nationally advertised chains. It strikes me that everyone who works there loves the building and it is reflected in their service. Anyone who complains about the quality of this Hotel/value for money must really have an elevated opinion of themselves. Warm welcome. Much appreciated by elderly lady travelling alone. Weather cool although May and central heating was on. Very good breakfast. This hotel is from another era in style but its bang up to date with service and comfort. Nicely furnished rooms and very good ensuite bathrooms. Whilst visiting Wolverhampton to take a Signwriting course I was advised that Barons Court was only a few miles away so I looked at the reviews here on trip advisor as well as the photos and then booked a room, upon arrival I was not Disappointed. What a great place to stay, a lovely house full of character and memorabilia with a really warm friendly welcome from Keith and a clean & comfy room with WiFi The following morning a shower with plenty of hot water and a great breakfast to start the day. Well Done Barons Court, See you soon. The manager is extremely helpful and friendly. Offered to carry our heavy luggages up the stairs. Also safekeeping for our luggages when we had to travel away for one night to nearby city. I liked it because it was not a branded chain hotel. It had a personal touch. I appreciated it being dog friendly . The room was clean and welcoming. Hotel parking. Outside garden . Really interesting antique ornaments. Me and my partner will stay there again. I got an amazing deal at Baron's court through this web site. The room was great and had many nice touchs in it, like the chocolate bar (!) and the bottle of purified water. The room was large and the bed very comfortable. I felt that it was incredible value and I would definitely stay there again / recommend it to others. The manager is very friendly and accommodating. Quirky, friendly and relaxed hotel in reasonably quiet but convenient location for Wolverhampton area. Very clean and well presented (a 1900's 'Arts and Crafts' house in original condition) with unusual ornaments. Briliant value for money - especially the breakfast! - At this price - nothing to complain about! This is our second stay at the Baron's Court Hotel with our family & friends. Keith is an amazing host, a warm welcome awaits us each time.He is a hoot! The Hotel is a great base for Wolverhampton races, only a few miles away. It is a stunning, quirky hotel with beautiful, well kept grounds.A warm,clean, comfortable room awaits. Well worth a visit for the first class breakfast. we were well looked after. This hotel is well recommended you are guaranteed first class service, great value for money & we will be back for many a stay. keep up the good work Keith!!! We read the reviews on this hotel before we booked and I can honestly say it more than lived up to the excellent reviews. Keith the Manager was incredibly helpful and helped us plan our visits to National Trust properties. The hotel was interestingly and tastefully furnished to reflect its Art and Craft design. Very comfortable and clean and the breakfasts were very good. Most definately recommended for a stay in the Wolverhampton area. I have just got back from a two night stay and I must say the atmosphere was great and the staff were very helpful. You got the impression that nothing was too much trouble. Keith was very knowledgeable about the area which was very helpful. Will always try to get a booking here first whenever I need to stay in Wolverhampton in the future. I stayed at Barons Court Hotel for one night in February 2012 and had a great experience. The hotel is a cute little gem just out of Wolverhampton town centre and has a quirky yet cosy feel.I was surprised to find a full coat of armour standing in the lobby and there were historical items dotted around the place. There is also a nice spacious lounge area with a fire place, computer access and alcove seating. I phoned ahead to find out which station is nearest the hotel and was promptly given the number for a local cab firm which is half the price of the taxi rank cars. Amazing! The manager was very friendly and helpful throughout my stay. My room was very clean, had free Wi-Fi access and a surprisingly big bathroom. The location meant that it was very quiet at night, which I was happy about. For £25 for a single room and an additional £5 for a full English breakfast including drinks I think this is the best value for money I have encountered. If I remember correctly, a pleasantly late checkout time of 3pm was also offered upon inquiry. We stayed for one night as we were going to a 50th birthday party. We had looked at other hotels in the surrounding area but after reading the reviews and comparing prices the Baron Court was our preferred choice. We were not disappointed at all, everything was just right. The room was tastefully decorated, very clean and comfortable. We were greeted by the manager Keith who was very polite and helpful, he asked us if we needed a taxi and booked it for us straight away. After a great party and a very good nights sleep we had a marvellous Breakfast with a choice of fresh fruit, cereal, yogurt to start then a full english breakfast with tea and toast. I would recommend that anyone who is looking for competitive priced hotel to stay in that is friendly, very clean, tastefully decorated and wecoming then you should seriously consider The Baron Court Hotel. We paid £39 for 1 nights stay for 2 with breakfast included, other hotels were £45 to £55 just for the room. I like a bargain especially when it comes with all the frills. To Keith and all the staff keep up the good work. I don't usually write reviews but felt compelled to on this occasion as this hotel far outweighed my expectations. Barons Court is a lovely building with a great feel about the place. Parking is really handy as is the free wifi. Keith was as welcoming and helpful as one could wish from a host and I my only regret is not being able to stay longer. We stayed for 3 nights incl breakfast en it was very good value for money. We felt a warm welcome and there was many information about the neighbourhood and attractions. We’ll come back in this hotel! This hotel has well lit car parking at the rear of the property. I stayed for one night only but found the host welcoming and helpful. My double room was a reasonable size, comfortable and clean. There was a good TV on the wall and I appreciated the bottle of water and the tea, coffee and milk provided in my room. The full English breakfast was excellent. My only minor criticisms, and they are minor, is that I would have preferred a more powerful shower and I found the swipe card door entry a little fiddly. Overall great value for money. An Amazing 'Arts & Crafts' buidling with bags of character on the ground floor. Less so upstairs as it has been altered a lot. The lounge was a spectacular 'Y' shaped room and the dining room had a massive floor to ceiling window. Great for architecture addicts like me! Keith was friendly and served a great breakfast which was excellent value for money. Room was clean, comfy bed, excellent bathroom and lovely TV! Tea & coffee in room too. All we needed was there! Good car park too. Our room was located at the back of the hotel, and therefore not affected by traffic noise on the main road. This was good value for money. Adequate room with en-suite. Good breakfast. This is a friendly, warm place and the atmosphere is terrific. Keith was particularly helpful when one of our party needed help with a boarding pass and went out of his way to help us and made us feel very welcome. It has a lovely large lounge, beautiful and spacious gardens and the rooms and beds are comfortable and have everything I needed including a bath tub which is quite unusual these days. The breakfast was also large and very good, and the price reasonable. Second time we've stayed here. Not a luxury hotel but clean and comfortable. The Manager is helpful and friendly and the breakfast is good. Great value for money. A very interesting listed Arts and Crafts building which works well as a budget hotel. Ample car parking space in grounds at rear. Helpful and friendly host. Small welcome touches like provision of bottled water and biscuits in room alongside plenty of tea/coffee/milk. Was able to drive into Birmingham Centre in 30 minutes (Sunday) without using Motorway. Freshly cooked breakfast. A good experience overall, and I would happily stay again. I have recently stayed twice at this hotel - for 3 nights on both occasions whilst working in that area. I phoned Keith before the first trip and asked him about the street noise that has been mentioned on other reviews and he was more than happy to assure me that he would put me in a quiet room. I had the same room on both visits and could not have been happier. If you want 5* luxury then pay 5* prices!! Keith could not be more friendly and helpful. The rooms are clean and comfortable with lovely touches like a bottle of water and chocolate biscuits instead of the type you usually get which dry your mouth out and my bathroom was great. Also, there is free internet access which was great for me being away on business. I don't eat breakfast so can't comment but here is ample parking and if it had been summer the back garden has a lovely spot for sitting in. The hotel doesn't have evening meal facilities but Keith is happy for you to take food to your room and he does sell wine and a few types of beer. If I'm down that way again I would not hesitate to stay there. We have just spent the night here in Room 10 with Arts & Crafts features. A warm welcome on arrival. Room & bathroom comfortable & clean. Excellent TV Two large radiators. Bottled water, hot drinks & Kit Kats. Very good breakfast (£5) Large lounge. Carpark good. Room not too noisy from roads. Star feature is Keith the very helpful host - nothing is too much trouble! Just booked for a one night trip for the two of us attending a wedding in the area. Wonderful hotel, with great communal areas, garden. Bedroom was pretty basic but clean with a good sized bathroom and bed so no complaints. A great selection for breakfasts so happy all around! Can't beat it for the £50 or so for the two of us. everything was perfect. We recommend this Hotel, visit it. behalf. A great place to stay! again you had a choice! We will be back again when visiting family. for and more, all beautifully presented and tasted delicious. Keith and his staff for their organisational skills. reasonable - just one more reason to stay here! We've stayed here three times now and each time have been extremely impressed by the standard of the hotel. The hotel was originally a house built in the 'Arts and Crafts' style and the hotel retains a real sense of this with beautiful wooden panelling, ornate windows and unique rooms and decoration. At the same time it offers all modern comforts; comfy beds, freeview telly, wi-fi, car park and a superb breakfast. However by far the best part of the hotel is the friendly and always helpful manager, Keith: a star! On arrival the first thing I noticed was the pretty well maintained garden area with a table and chairs for guests to use. On entering the hotel Keith the owner was there to greet us. Our room was on the ground floor, it was spacious and the beds where very comfortable. Note: White soft towels and crisp clean ironed bed linen. The large lounge had plenty of sitting as did the breakfast room. The decor throughout the hotel was a feast for the eyes as it contains lovely furnishings. In the evening there were lit candles and soft background music, which was a lovely touch. The breakfast was excellent as quality ingredients were used. I was recommended this place by a work colleague having grown tired of places that didn't think of the single business woman. Fantastic accommodation and Keith has a great sense of humour and you really feel that you can ask him anything and he has all the patience of a saint (especially trying to train me to use the door swipe!). The breakfast is the best I have had in a hotel for ages and the rooms are welcoming and cosy. The hotel is a lovely old building with lots of history and is better than the bland hotels that are around a lot of Wolverhampton. Lovely house/hotel very clean and comfortable. Breakfast amazing! Felt very much at home and manager Keith extremely helpful, would recommend to friends and family. I stayed here for 1 night as i was away on business. I had to pay myself so i was looking for something cheap. This hotel is great value for money, i had a lovely relaxing night and was pleasantly surprised considering what i had paid. The hotel itself is a lovely building, really quant and welcoming with lovely gardens. All hotels should be of this standard. This is such a beautiful place to stay. You can clearly a lot work and thought has gone into this place. I booked into the hotel for a tennis tournament. Keith was very welcoming and check in took less than a minute. My car had broken down just near the hotel and Keith said it was no problem for me to leave it there to be recovered at some point (even when I had checked out) which was good of him. Hotel looks great from the outside and has tons of original features inside. A really nice place to be. Stayed in 2 different rooms. Both great, TV good and fridge with ice outside was helpful. Only thing that could be better were beds, they need replacing. Slept fine. Breakfast was fantastic. Very, very good food. Service quick. Good times 7-9. Breakfast room clean and nice. This is a fantastic place to stay...why would you even think about paying for a expensive hotel when you can stay somewhere like this? The manager goes out of his way to help you and is always there (unlike some other hotels where the manager shows up once a week!). Glad we listened to the reviews on Trip Advisor! Nice little hotel immaculately kept with very good personal service. Manager was very helpful and if you like that personal touch this is the place to stay. Really good value, very satisfied. A little gem, excellent stay. This Hotel is a little gem. My stay was in December and the house had been decorated to create a wonderful Christmas feeling. There is a warm and cosy atmosphere about the place (not the coldness that you get with some older houses). The hosts are friendly and welcoming. The breakfast is wonderful. An excellent stay. Beatifully festive and welcoming place. Ideal Black Country base, cant be faulted. Much better than a chain hotel. What a beautiful place, everything's so cared for. Great stay and close to the Robin2 for gigs. We found this Hotel on the internet, and when we arrived we were made very welcome, its a place full of character whith a lot of original featuresand off road parking. We stopped for three nights to explore some of the (Black Country) We found Keith and his team to be very frendly and down to earth people. The breakfast was perfect every day and the room very clean and comfortable. Well done Keith 10 out of 10!! Lovely comfortable room and super breakfast. Great overnight stay. Keith very obliging. Facilities good anf clean. Would come again. Keith made us feel comfotable and relaxed. Fantastic stay, Really well looked after. Delicious breakfast - very good value for money. Stayed in many and this is one of the best. Clean, good breakfast, nice welcome. My first stay and definitely not my last. Lovely helpful staff and beautiful hotel. Had a nice evening and enjoyed the atmosphere. Very nice 7 days. Thank you for the traditional atmosphere. Would stay here again. Breakfast excellent. Great place, good feeling - lovely room and filling breakfast. Quaint, bijou, a cornucopia of paraphenalia, amazing stay, great price. Very welcoming, lovely hotel, great furniture, superb breakfast, great price. Lovely building and hotel. Lovely staff and very professional. 2 really good nights, comfy bed - slept like a log, good food and lovely house and contents. Amazing find - so glad we booked the wrong hotel by mistake! Breathed happiness, fantastic place will return asap. Room 6, Had the best night's sleep away from home. Room 14 very very good. Keith so helpful and room and breakfast was excellent. 1st class accommodation, 1st class service. Fantastic, best sleep ever, thanks Keith. Thanks to Keith for a very memorable stay. Beautiful place and enjoyed greatly. Came from Hollywood California and enjoyed my stay here. Would love to come back. Very friendly clean hotel ... child friendly. Would stay here again. Have stayed 6/7 times ... very good. Friendly and excellent. Will come again. Thanks for being understanding ... comfortable stay ... thank you. Stayed for the week, Room 8. Lovely breakfast - Home from home. Hotel and particularly the service was first class. Thanks for the welcome, we enjoyed ourselves. Thank you for being helpful and accommodating during our stay. Thanks for your brilliant service and demeanour. Thank You ... see you again. Thanks a lot. very nice stuff. Thanks for sending our packages. Thanks a lot. Very nice and cosy and homely. A really lovely stay, many thanks. Thank you for a great stay. A+ .. excellent all round from breakfast to bed. Fantastic room / service / hotel - Thanks! Had another great weekend, thanks. Fantastic accommodation, definitely stay again. Slept very well, felt very comfortable. Thank you. Very good hotel, really enjoyed it. Nice and clean. Thank you. Thank you for a lovely peaceful stay. Breakfast was great, see you again. Thanks for a brill' chilled stay. It's been an absolute pleasure staying with you. First time in England, first time in Wolverhampton. Excellent place, fantastic manager We felt like we were at home. Good breakfasts too. Very welcoming, comfortable and enjoyable stay. Thank you. Thank you. See you again. It was my first time in Wolverhampton (and my first time in England - I live in France). For four days. How can I forget this charming place, which was the witness of my meeting with my "old" penpal. Handwriting during 10 years (I in France and she in Lower Penn), in the seventies, then lost, and met again .... 30 years later !!! and decided - at last - to meet. Keith, we thank you for all that ! This hotel not only looks like a House. It feels like home. The service was friendly but efficient. The rooms were comfortable and clean. A good choice for breakfast. The location was ideal for getting to the town centre but at the same time ideal for reaching other areas of the Midlands. I have stayed at Barons Court on several occasions in the past few months. I have always been made to feel very welcome and at home. All the rooms I have been offered have been clean and comfortable. The breakfasts are freshly prepared and served promptly. A real cosy place with a friendly atmosphere. Lovely place, fab breakfasts will be back. Thank you, comfortable bed and lovely breakfast. Best we have stayed in, friendly, clean, smashing host, nothing too much trouble. This is our second stay at Barons Court. We have found Mr Kirkham very friendly and helpful. for leisure or for business. Thank you, very nice stay, slept like a log. Lovely place thank you for such a warm welcome. Brilliant, Great house, great welcome. Fantastic place we are coming again soon. Fantastic service and beautiful rooms. Extremely welcoming, clean and comfy. Very comfortable, very clean, very relaxed. We've had a wonderful stay, thank you for your kindness and care. Had a fantastic New Year here, would recommend to anyone. Once again your hospitality has been wonderful. Very nice room, comfy bed, will be back. Nice, clean, comfortable room and a filling breakfast before leaving. Extremely friendly, great service, good breakfast. Great service, excellent service and lovely room. Excellent service extremely clean room, Excellent manager. Thank you for a lovely stay. Clean room and we were well treated. All the reviews were true, you won't be disappointed! Great place, thank you. Thanks for a great room, very clean and tidy place. Thank you for everything, we loved our stay here. Wonderful hotel, beautiful building, excellent service, nothing too much trouble. Excellent value and comfortable room. Thanks. I recently stayed at Barons Court with my 16 month old daughter, husband and in-laws for a family wedding. A small but perfectly formed hotel, our rooms were comfortable with beautiful, clean bathrooms and tea/coffee making facilities. Keith, the manager, was very welcoming and provided us with an excellent breakfast! The hotel has a small bar which is great if you want a quiet drink - and has a large comfortable lounge area with TV. Overall, we had a comfortable and pleasurable stay at Barons Court and expect that we will stay there again. Lovely warm room, thank you. Lovely hotel, excellent service - friendly. Spotlessly clean, friendly service. Thank you. Lovely hotel, Keith was particularly spectacular. Friendly and lovely breakfast, thanks a million. Beautiful house, warm welcome - good breakfast. Very nice place, food great. Looking for one nights accommodation within easy reach of Birmingham, we couldn't have found better. An excellent establishment with real character and superb service. Room was very comfortable and cleanliness was second to none. Great supply of tea and coffee, with proper cups and saucers, not normal mugs! Breakfast was very good. Nice choice of cereals, fresh fruit and juices, and amazing choice for those wishing to have cooked breakfast. The £5 charge (we paid for B&B rather than room only) was well worth it, and included nice fresh coffee. A great touch here is that you can bring your own drinks back in the evening if you wish, and they will provide glasses, even though there is a very small bar. A great place, full of amazing touches and well decorated for Christmas. Would certainly stay here again, would easily pout 4 star hotels to shame. Excellent, very homely, fab food. This is a beautiful place to stay. The house is a pleasure to experience. Beautiful building, very friendly reception. Had a lovely stay, hotel's spotless and smells lovely. Thank you for a wonderful comfortable stay. Excellent all-round. Lovely stay, we will come again soon. Thanks for the most warmly stay! This was my first time staying in a hotel alone as I was on a business trip & I was rather nervous, well I had no reason to be. 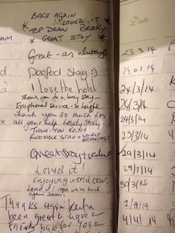 From my first conversation with the manager Keith to book my stay he was very friendly, very pleasant & very helpful. As I was staying for 2 weeks he gave me a twin room at a discounted rate. On my arrival he carried my cases from the car to my room for me. My room was spotlessly clean and had everything I needed. The breakfast was delicious. The staff were wonderful, nothing was too much trouble for them. I really felt at home here. The hotel itself is wonderful, such an interesting old building with a really relaxed homely feel to it such a refreshing change from the new flash premier hotel types where they are all modern but their is no personal touch, here you are made to feel really welcome and that they are happy to have you staying there. I really enjoyed my stay & will be returning as I would not want to stay anywhere else. I would highly recomend this hotel to anyone-you wont be disappointed. It makes me feel like home. Nice friendly hotel, will use again. As Pa Larkin would say, 'Perfick'. Didn't know or realise what an historic place this is. Most comfortable stay. Thanks very much. Very nice stay, lovely people and excellent breakfast. Very welcoming and friendly. Excellent service, recommend anyone to come back. Good clean friendly hotel, great breakfast. A very pleasant stay, see you again. Very nice stay, great breakfast. Especially Keith who is very sweet. Thanks for everything. The room was lovely and staff welcoming. Nice touch with the KitKats, they were enjoyed. Thank you. Lovely to have a look inside this beautiful house at last. Well worth a visit again and again. Easilyrecommended. Room spotless. A very pleasant stay. Magnificent attention, pleasant and familiar treatment. Beautiful hotel and very good breakfast. Highly recommended. Special thanks to Keith. Thank you for everything, it was just great! Very nice, Good sleep. Thanks. Brilliant stay, excellent service. I think I would come again and again and again. Lovely. Lovely stay, very welcoming and comfortable. I would come again. First class, good services, good food. Lovely personal service, happy to go extra mile if needed, rooms tidy and accommodating. Really enjoyed our stay, hope to come again. A truly wonderful experience. Thank you, will come back and tell all of our friends. Very good stay - lovely hotel and very friendly helpful staff. Very welcoming, warm and friendly, clean, would definitely recommend and come back. Thank you. Very pleasant stay. Will recommend. Thank you. Very good - excellent value. Lovely hotel, excellent breakfast. Very enjoyable stay, thank you. Very welcoming. Room spotlessly clean. Nothing was too much trouble. Thank you so much. Good to meet and see old friends again, hope to see you soon. Lovely place will be back. Fantastic, lovely place to stay! Thanks very much - home away from home - Staff willing to walk the extra mile. Very welcoming, a real home from home. Brilliant staff, will come again in October. Thank you for your hospitality. Proper hotel with proper hospitality. Lovely welcome and hospitality. Rooms immaculate. Enjoyed our stay. Excellent place to stay, friendly atmosphere and wonderful breakfast. Thank you for making my 2-week stay so pleasant. Just like home from home. Nothing seemed too much trouble if I needed anything. Definitely will stay again if you'll have me. good room and food very nice; helpful staff. Great place, lovely rooms, very comfortable and we'll be back again. Excellent stay once again. Breakfast great. Thank you. Lovely stay - see you again. Warm and friendly atmosphere with plenty of character. Thank you for the homely feeling. Extremely helpful, friendly host, we hope to come back. Will recommend to others, thanks. Lovely room and place, great breakfast. Great environment, lovely customer service. Fantastic hospitality, excellent food, very comfortanle and spotlessly clean. Nothing was too much trouble for Keith, would certainly recommend and stay here again. First Class, could not be better - Thanks! Thank you for a lovely stay at your hotel, we really enjoyed it. The breakfast was really nice. Thank You again, lovely hotel. Great stay! Will be back. I will recommend you. Wonderful stay, we had a lovely time. Stayed 3 nights, fantastic, clean, comfortable and well worth the money. Very friendly, this is my 3rd stay here. As a frequent visitor I like all your little touches such as fresh water in the room, the ice freezer and the potted history of the house on the breakfast menu. Thanks! A 'budget hotel' with pride. We stayed for one night. The hotel is very unique and friendly. The rooms are nice and clean and very homely. Breakfast is freshly made and was so delicous I would go back for this alone. The owners are so friendly and make every effort to see you have a pleasant stay. I would stay here again for sure. Nice room, nice place, nice people. Wonderfully quirky and fantastic atmosphere. Thanks for the pleasant stay, excellent service. Lovely hotel, we will come again. Gorgeous hotel, will come again. Thank you for a lovely stay. Definitely be back as it's the nicest place I ever stayed in. Had a lovely stay on the night of our wedding reception. Will definitely recommend to friends. Friendly welcome, clean and comfortable. Lovely hotels, rooms brilliant, nice to have as much tea and coffee as we wanted. Fantastic hotel, lovely gardens and welcome. Will definitely be back in the summer. Excellent room, nice breakfast, clean and tidy, will call again. Thanks for a most pleasant stay. Many thanks to keith. Thank you for a brilliant stay, will call again. During my month in England I needed to book numerous nights in the city of Wolverhampton for local sporting events. I located the Baron Court on traveladvisor and unlike other hotels the reviews were generally very positive. For this reason I booked my stay there. I found the Barons Court to be an excellent establishment and would recommend it to anyone looking for a place to stay in the area. The rooms were very clean and well presented with good furniture. The bathroom ensuite facilities were also very good. Each morning I was offered a full english breakfast with many options along with cereals and yogurts. The manager, Keith, was very polite and would go out of his way to help guests. 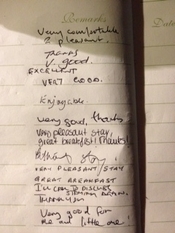 The stay was very enjoyable and for this reason I chose to book several extra nights over the Christmas period. On any future trip to the UK I will stay again at the Baron Court when in the area. In the entire month that I was in the UK it was by far the best hotel that I stayed at. Thank you for a lovely stay - such a lot of interesting artefacts and a lovely lounge. Thank you so much to you and your wonderful staff. You did a fantastic job in difficult circumstances that were not of your making. Well done and bless you. Friendly and comfortable - nice breakfast. Thanks. Couldn't have chosen a better place. Great stay once again, hope to see you again soon. Really nice place. Could not be more accommodating. Excellent value for money. Brilliant service. Thanks for rescuing me from the snow! Better than a chain hotel. Friendly and comfortable. Thank you, nice and peaceful. Hospitality was superb and service excellent. Nice and warm place. Friendly people. Thanks will be back. Lovely clean place, definitely recommend. Very friendly and clean. Hope to be back. Very friendly, fantastic place. Marvellous service. Perfect stay. Comfortable room. Excellent staff. Characterful house. Super breakfast. Thank you. Very nice and clean. Will come back. Very impresive. Wonderful establishment. Keith 'Man of many hats' always hepful. Nice and peaceful. Good breakfast. Thank you for all. Very nice. We stayed at the Baron's Court when attending a Christmas party at a nearby hotel. We had booked two single rooms at an excellent rate of £30.00 per room. The rooms were of an excellent standard which were very tastefully decorated and both had very large bathrooms. I would recommend booking room 3 if booking a single room as it really was lovely! The manager Keith went out of his way to be helpful and make us feel welcome and it is obvous that a lot of pride is taken in the upkeep of the hotel. The breakfast was very fresh and again excellent value for money, it cost £5.00 each for a full english breakfast including fruit, yogurts, cereals etc. The breakfast is made to order which really makes a difference and you can order which ever items you like without having to stick to a set breakfast. Overall the hotel and service is of a much higher standard than that of larger hotels and I look forward to hopefully staying in the near future. We felt very comfortable and looked after and enjoyed the relaxing atmosphere of the hotel. I really cannot praise this hotel enough, I have never written a review on a hotel however I enjoyed the stay so much I think it is fair to share my experience with future guests. Brilliant service, so helpful and welcoming. As always, fantastic, great service. Great hotel, excellent service, great 2 weeks. Once again, excellent service. Thanks. Lovely hotel, great servce thanks. Lovely hotel. Keith was particularly spectacular. Happy Christmas! Another very enjoyable comfortable stay. Uncomparable hospitality from Keith and Paul - wonderful new 'Home'. Will certainly come again. Many thanks. Hospitality was superb, service excellent. Nice and warm place, friendly people. Thanks will be back. Lovely clean place definitely recommend. Nice friendly hotel will visit again, thanks. coming back! Thank you for a lovely stay! service. Will come back next time I am in Wolverhampton. Really enjoyed our stay and an amazing Halloween theme. Can't wait to come back, a really beautiful hotel. really enjoyed our stay, thank you. Thank you for everything. Fantastic service. Fantastic, went out of their way to help me. Excellent, what more can one say. Lovely hotel, cosy rooms, very helpful. Best Hotel I have stayed at in England. Excellent service, very friendly and comfy. Nice friendly hotel, good service. Lovely stay, we will come again. Thank you. Thanks for the most warmly stay. Cheers we will be back! We always like to come back. Thank you very much it was great to be here. Excellent stay great service thank you. Excellent stay very comfortable, thank you. Lovely stuff, thanks a million. A very comfortale and pleasant stay. Courteous and helpful service. Would definitely recommend to others. Very good , would definitely recommend. Thanks, especially for the help with 'the details' of travel. Thanks for your help, we would recommend, see you soon. Very comfortable and service very good. Well organised, good breakfast and a comfortable room. Will recommend. Very good service, lovely stay. Lovely stay, fantastic service and fiendly staff. Would recommend and return, thanks for everything. Very comfortable - Thank you! Does what it says - excellent value. Lovel room and staff, many thanks! Excellent service, we will gladly recommend to family and friends. Lovely place, great host. Thank you. Thank you for making me feel at home, 200 miles from my family. Excellent reception and in a very curious and artistic house. Very warm and enjoyable stay. Fantastic little place, lovely room and very delicious breakfast. Thanks! Clean, friendly. Lovely breakfast, very warm welcome. One of the friendiest hotels we've been in. Fantastic food. Great brekkie, great stay, top hotel. Thanks for a lovely stay, very friendly and helpful. A wonderful stay and a very comfortable room. Delicious breakfast. A great stay. Thank you for your hospitality. Fab brekkie! A great hotel, lovely breaky. Highly recommended. Fabulous hotel can't wait to come back. Excellent! Fabulous, great breakfast, highly recommend! Thank you! An amazingly beautiful solution to my accommodation problem! A most pleasant surprise and the service was excellent. Very nice accommodation, excellent surroundings. Lovely hotel and excellent service. Lovely stay and very wonderful service. Very comfortable accommodation. Friendly and warm staff. Very comfortable and pleasant stay. I would recommend it to others. Lovely room, super breakfast, thanks. Great welcome and service - a wonderful place for a weekend break. Thank you for a lovely stay and terrific breakfast. Great hotel/food - quirky little place - love it!! Very warm and welcoming stay. Lovely building and warm welcome. Outstanding! Thanks for all considerations - will be back! Lovely clean room - very nice breakfast. An unbelievable find - absolutely fabulous! Thank you for a lovely stay - food brill'. Very clean. Excellent service and food. You are a little oasis! Warm welcome abd fantastic breakfast. Thanks. Brilliant stay. I love this hotel! Great stay. Lovely room. Excellent friendly service. Great to stay here again. What an unxpected pleasure this hotel is. Good rooms , food and general surroundings. We'll be back! Very enjoyable stay. Very pleasantly different. Thank you. We had a really lovely stay here. Fantastic room and a really unusual place! Thanks for the Bantock House tip. Lovely stay, friendly service, brill' room. Comfortable and good breakfast. Will revisit. Pleasure to stay here. Room very nice and clean. Very pleasant stay. Great staff, very good breakfast, room clean and comfortable. Superb breakfast - thoughtful owners. Great value for money, lovely atmosphere and would recommend to others. A real home away from home. Had a wonderful and peaceful night. Excellent service. Lovely rooms and great breakfast. Thanks mate, my missus dropped coke on the sheets - clumsy! Fantastic, very welcoming and helpful and great facilities. Lovely stay, great staff very enjoyable. Thanks for another lovely stay. The hotel is really charming and we always get a warm welcome. The rooms are really nice, warm, clean and cosy. The breakfast is superb. See you again soon now we can find the way ourselves. Homely, attentive, safe and warm. Highly recommended. Great breakfast and friendly service. Will be back. Had a lovely stay. Everyone was extremely helpful. Very homely and thank you for your wonderful service. Breakfast - I enjoyed every bit of it - yummy! Lovely stay, will be coming again. Good stay - room excellent. Wonderful accommodation. Would definitely stay here again. A nice comfortable stay and a more personal service. breakfast and above all friendly and courteous service. Thank you everything was perfect and the room beautiful. Breakfast excellent and you were very friendly. We'll recommend you. Lovely hotel, comfortable and clean, lovely breakfast. Another lovely stay. The hotel is charming and we always get a warm welcome. The rooms are really nice, warm, clean and cosy. The breakfast is superb. Homely, attentive, safe and warm. Highly recommend. Thank you so much. May God bless this hotel. Great breakfast and friendly service. Had a lovely stay, everyone was extremely helpful. A lovely hotel. Home from home. A very enjoyable stay, great hospitality. Very friendly, lovely place, will be back. A very pleasant hotel, very friendly staff, breakfast was brilliant. Brilliant hotel and room, definitely coming again. Great stay, same as always. Thank you very much fro everything, it's like a home away from home. Very comfortable room, excellent breakfast. Thanks for a very comfortable stay, we will be back. Thank you for a very, very pleasant stay and good service. Always a comfortable stay, thanks. Thanks for making me and my mate comfortable here last night. Thanks for a lovely stay and your kindness. Wonderful stay, hotel and hospitality. Great. We wanted to stay the night in Wolverhampton for a concert and we were struggling to find a Hotel that didn't have terrible reviews and wasn't too expensive. Luckily we came across the Barons Court Hotel. Located a couple of miles from the centre (a cheap taxi or bus ride), the hotel is an impressive but warm Edwardian building with a well preserved lounge and dining area. Our room was clean and comfortable and the breakfast was more than adequate. 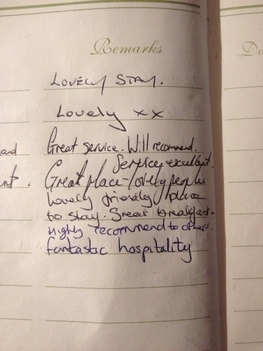 The manager, Keith, was friendly and helpful and we thoroughly enjoyed our short stay. A nice attractive place and a lovely pleasant time. Comfortable pleasant stay, thank you. An enjoyable stay in a lovely house. Very pleasant stay. Good breakfast! Another great stay thanks guys! Keith, you don't look a day over 21! PS the cake was fab!! On behalf of our family wedding guests - thanks for all your help. Avery pleasant place to stay. Nice room, nice people, great breakfast. A lovely hotel. Nice food. Welcoming people. Very nice stay. We'll come back again. Management superb. Thanks Keith, you really looked after me. Mick the Mullet! Keith was an excellent host, ferrying beers to us as we ate take away pizzas in the lounge watching England beat France at Rugby !!! The room and breakfast were good quality, especially for the price. I have stayed in few so called hotels in Wolverhampton and this is by far the the best ! We have just returned from a 2-night weekend stay. I have no hesitation in recommending Barons Court as a great place to stay. We recently spent five days at the hotel (August/September 2007)and we were very pleased with our stay. The price was right. The breakfast was great each morning, but what set the hotel apart from the others was the manager. He was always willing to help us by getting a cab or pointing out an attraction to visit or giving us advice about how to get around. We were made to feel like part of the family and it was nice. If I ever get a chance to go back to Wolverhampton, I would stay with them. I would recommend this hotel to anyone staying in the area. We'll be back all the way from Germany. Thanjks for the last few weeks. Enjoyable and comfy stay. Clean, comfy and hospitable - great breakfast. Fantastic value for money. Absolutely wonderful place. The surroundings and staff made it a very nice and relaxing stay. Wouldn't hesitate to come again. Thank you. Thank you Keith for looking after me so well. See you again no doubt. Ciao. Better than home, back soon. Highly recommended. Certainly come again. Lovely - great breakfast, see you again. It's been a pleasure from start to finish. A most beautiful stay. Thank you - you made us so welcome. This hotel is a home from home hotel,i only had a short stay at this hotel and it was very pleasant the room was clean and tidy and the manager was very friendly and helpful, there was plenty to choose from for breakfast and we were made a tasty fry up i would recommend any one to stay here as i would use it again myself. I'm not a seasoned traveller, but I've stayed at four star hotels in London and Paris, and I can honestly say that my stay at the Baron's Court was possibly my best stay in a hotel ever! OK it wasn't as slick and modern as your big upmarket chain, but if it had been, it would have been at the cost of all the character of the beautiful Edwardian property. The hotel was clean and comfortable and the bathroom was modern with all that we needed. However, the thing that really put that Baron's Court head and shoulders above the rest was the hospitality. The manager was totally accommodating without being over-attentive. After trying to book the Quality Hotel online, ringing the hotel when it wouldn't go through, expecting to book over the phone, only to be told to try another website, we called the Baron's Court.We needed a family room and were offered a twin room with an extra bed made up for our son - perfect. We arrived mid-afternoon and the manager offered to turn the central heating on, but we declined as we were going straight out. The bed was comfortable and the pillows were of varying softness, so I easily found one to stand in for my own, and had a great sleep as a result. - almost too good as we were a bit on the late side getting down to breakfast, but this was not a problem at all and we were soon sitting down to a full-english - the manager even offered to hold my three month old son for me so I could eat my breakfast with two hands for a change!! After a quick photo of our three year old with 'the knight' (a suit of armour in the entrance hall) we were on our way. All for the princely, or should I say baronial, sum of £50. But puns aside. This was a really nice stay, in a really nice hotel and I would strongly recommend it to anyone - and already have.